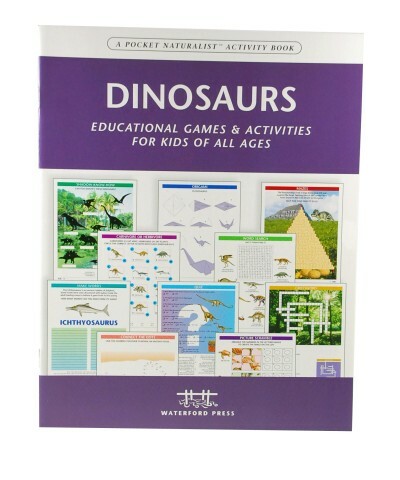 Dinosaurs Nature Activity Book, Educational Games & Activities for Kids of All Ages, this activity book for the young paleontologist from Waterford Press helps a child learn to identify the many types of dinosaurs and habitats. The Dinosaurs Nature Activity Book is a fantastic activity book for the young paleontologist. Puzzles, word games, and drawing activities help a child learn to identify the many types of dinosaurs and habitats. This soft cover book from Waterford Press is an educational tool and will keep children entertained for hours while they learn.